Welcome to the best way to manage your business! 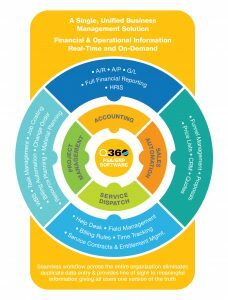 Q360™ is the only complete business software package that is purpose built for Technology Integrators that includes Full Accounting, Project Management, Job Costing, Service & Dispatch, Inventory and Sales. Scaling from 20 staff to 2,000 staff Q360™ is the last software solution you’ll ever need to buy. Q360™ is an innovative enterprise resource planning software platform designed to manage business processes within a growing technology integration organization. Imagine the power that a single database, tailored directly to the needs of your business can provide you. A single system that is process driven can give you insight and control to manage your critical business operations. Solutions360 understands that data is one of your company’s most valuable assets. Q360™ has the power to unite all of your business processes and empower your employees to find, share and exchange data, regardless of location or subject matter expertise. Q360™’s project management is the backbone of the system – providing a single, detailed view into the project and resource management for all your projects. The finite nature of a project makes it most critical to have a real-time feedback loop on costs as they are incurred. This allows the project team to remain nimble in response to cost overruns or changed to schedule. Having the ability to capture and process change orders easily and efficiently also allow the PMO to maintain and grow margins. With the Q360 Software, project Work Break-down Structure (WBS) setup and tracking are system driven from full or partial templates. These re-usable templates give you repeatable baselines that represent best practices that you can measure against, greatly increasing project efficiency and profitability. Q360™ gives project managers access to real-time data including project completion percentages, gross margin, remaining hours, work in progress, budget vs. actual, and profitability analysis. Through this visibility, services professionals gain instant understanding of the overall performance of their project teams and are able to make faster and more effective strategic business decisions. Effective Resource Management increases profitability by optimizing utilization and minimizing wasted time. Q360™ provides professional services organizations with powerful resource management tools that enable project managers and resource managers to quickly search for and assign the right resources to projects based on their job roles, skill sets, bill rates, certifications, location, and availability. Q360™ streamlines the capture of billable time and expenses and enables rapid and accurate customer billing for hourly, fixed bid, or percentage complete projects. Streamlining these processes increases accuracy in time and expense tracking and capture, while shortening invoice and billing cycle time. Time and expense records are automatically routed through our workflow for approval and posting. Project Managers have the ability to approve, over-ride, or reject time and expenses. Once approved, an invoice can be created directly within Q360™. Revenue recognition rules ensures a clear differentiation between recognizable revenue for work performed and amounts contractually billable, ensuring an accurate picture of your company’s financial standing. Q360™ is a single system that is a queue-based, professional services automation workflow application designed for your business to better manage people, projects, and corporate performance. However what differentiates Q360 from other systems, is the ability to provide the last and most integral 20% of the completion cycle, whereas others solutions only provide 80%. Many software companies talk about flexibility or scalability. Solutions360 can truly make this claim. The foundation of our platform is designed to handle all aspects of a service and project based business from sales to project accounting to service dispatch to continuous product and service innovation. While all of our customers come to us with the vision of “one system to manage the whole business”, this means something slightly different to every customer and so it’s important for our product to be flexible, customizable but most importantly scalable. Our customer’s rely on us to ensure the processes or reports they haven’t even thought of yet can be tailored in the system. To learn more about configuring and tailoring Q360™ to match how you do business, click here. Q360™ is an single system that is a queue-based workflow application designed for your business.